Holiday gatherings have been abundant at my house this year, which is always wonderful and festive. I hosted two dinners this past week and turned to my old favorite recipe that constantly reminds me of Christmas time and puts me in the mood for good food and conversation with those you love. Not only is this recipe delicious, it is so easy and quick, which leaves you to flounce around with your guests and enjoy the company! 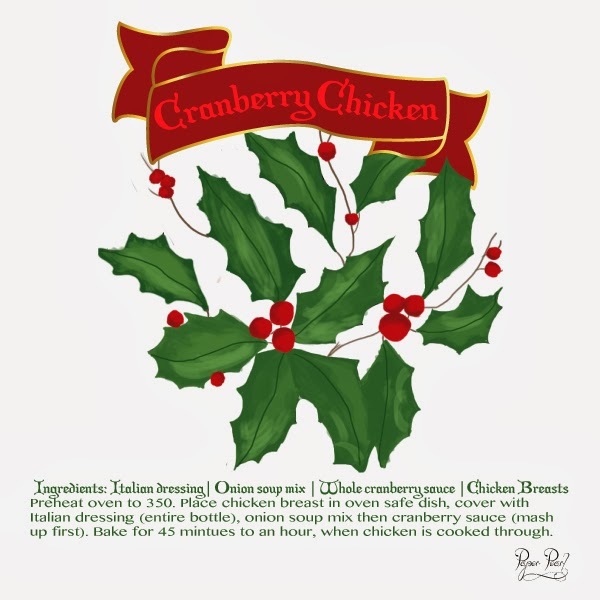 Cranberry Chicken !! I love chicken and all chicken related curry a lot...its too much yummy and testy always as view of me! What's yours?